CS Tree Services has been serving the needs of residential, commercial and municipal clients throughout the Raleigh, Durham, and Chapel Hill area since 2003. We are proud of our reputation for prompt and thorough services and attention to detail. 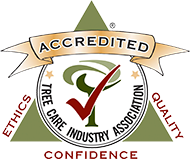 As an owner-operated company, we recognize the qualities that customers look for in a professional tree service. "CS" stands for Chris and Steve, the company owners and long-time best friends, who personally handle all quotes and tree assessments. Training our employees and nurturing a culture of safety is our highest priority. We believe safety and quality go hand in hand, and our customers recognize this, as they continue to recommend CS Tree Services to everyone they meet. 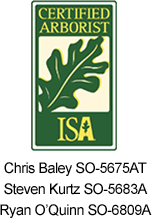 We have three ISA certified arborists on staff, and our tight-knit professional team will get your job done cleanly and beautifully- and for a reasonable price. We are proud of our 5-star customer rating and work hard to maintain it. But don’t take it from us, see our reviews!